What could be better than touring around the world playing your guitar to packed stadiums in city after sparkling city? If anyone knows the answer, it’s Dory Lobel. Despite very respectable cred as a guitarist - working with big names such as Jesse McCartney, Enrique Iglesias, and Backstreet Boys - Lobel also enjoys comfortable success as a songwriter and music producer. He first cut his musical teeth as a guitarist in the Israeli Intelligence Forces. 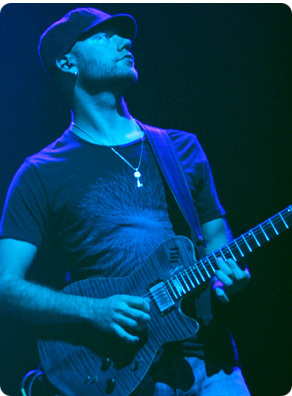 After having enrolled in a Psychology degree in Israel, he came to the U.S. in 2003 to study guitar for one year at the Musician’s Institute in L.A. Though he had plans of returning to Israel to engage in a “real profession,” the thrill of sudden broad musical exposure, and the real prospect of making money from music, changed his mind. Since then, his modesty, his open-mindedness, and his deft musicality have lead him straight into the heart of California’s music scene, landing him some of the most prestigious gigs any musician, producer, or songwriter could ever hope for. 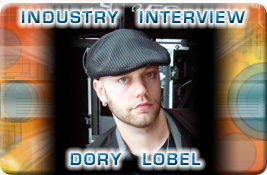 Dory Lobel shared with Hit Talk his insightful reflections on a career that’s on the up-and-up. If you’re a musician of any kind, this is one interview you simply cannot afford to miss. Hit Talk: Thanks for agreeing to do this interview. Hit Talk: You’ve played with Backstreet Boys and Jesse McCartney. How did you get those jobs? Did you make calls? Was it through school connections? DL: Actually, at the end of the day, it was … pretty straightforward. I got called to audition for Jesse. HT: Oh, You got called to audition, you didn’t have to make the call? DL: Well, … it was a combination of a bunch of things. The connections from the school definitely helped. Nowadays, to get called for these auditions, it’s not as hard as people think. There are people in this town who specialize … in finding musicians and have a big Rolodex with different people [representing] different styles. 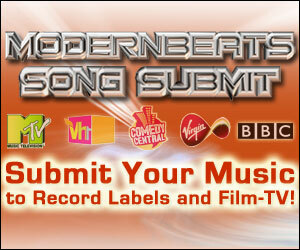 Artists and record labels will call them when they need to set up a band. The one who found me was a guy called Barry Squire. HT: So how did you first approach Barry Squire, were you sending him music? DL: I called him and I emailed him and I didn’t get any response, so I just gave up, I stopped. 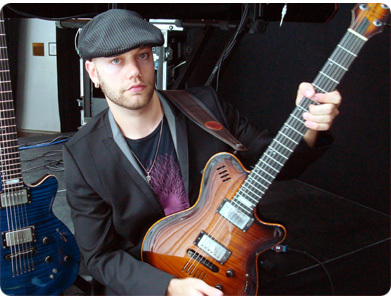 But then, Rafael Moreira, the famous guitarist that plays with Pink, Christina Aguilera, and on Rock Star, we had the same teacher, Jean-Marc Belkadi. Jean-Marc always said “you and Rafael need to meet each other.” I was at the school at the time, and Rafeal would pop in between tours just to hang out and jam. Then he heard me, and he liked my playing. So he also told me to talk to Barry. When I saw Barry, … he was walking in our school, and there were a bunch of people hovering around him… He was talking to someone, and I was waiting. Then I just walked up to him, and I said “Hey Barry, you know Rafael told me I should talk to you.” Rafael, and also another friend of mine, had mentioned my name to him and mentioned that I was Israeli. Barry said, “Oh, you’re the guitar player from Israel. I have an audition next week; if you want, you could come out.” So, a lot of it was being at the right place and the right time, and being active about it. It wasn’t the most pleasant thing, when you see a group of people around someone like vultures. HT: Yeah, you wouldn’t want to bother him after that. DL: Yeah, but I felt like it’s what I had to do. And he was nice about it because, at the end of the day, that’s really his job. So yeah, he just called me for an audition. … I almost thought that it just wasn’t for me, the whole thing about playing for other people. I had already signed up in Israel to go get my degree in psychology, and then Barry called me for Jesse McCartney’s audition. It’s just when he got his record deal. Barry said he thought it was going to be big. I was actually skeptical because I wasn’t really into “pop” music at the time. I also didn’t know if I wanted to work as a hired gun for other artists. I thought “I’ll either play my own music or I’ll choose a different profession altogether.” I was cocky back then. HT: You didn’t even know if you wanted to show up to the audition? HT: So you kept an open mind, you landed the Jesse McCartney gig. It sounds like it might not have been your favorite gig. Was it mainly a door-opener for you? DL: Actually, I wouldn’t say that. It was definitely my favorite gig… With Jesse, the great thing that happened is once I got the job, him and I and his manager really had a strong connection which is still going to this day… You know, even though all the artists I’ve played with are definitely great guys (and girls), to really make a deep long-lasting connection is rare… With Jesse I think a big part of it was that we both came up at exactly the same time. I was pretty new to L.A., and he had his first record deal. Sure, he was in a boy band when he was younger, but this was his big explosion as a solo artist. So even though I haven’t really worked with Jesse [on stage] for a while, I still see him all the time, we still go through a lot of writing together. HT: So you’re still good friends with him, even now. DL: Definitely. he’s really like family to me. HT: It’s a good thing you paid attention to your friend’s girlfriend’s advice. DL: And I pass that advice on. Just recently, one of my best friends, who’s a great piano player, got called out for a very similar audition. It was for a big TV children’s star who’s coming out with a record. My friend didn’t want to go. I told him “just go, you’ve got nothing to lose, and you never know what’s going to happen from it.” He went and he got the gig. Then, that tour got canceled, but the guys in management hired him for a big tour with a different artist. So … any opportunity that you get offered or you get called for, you have to explore. HT: So just say “Yes.” It’s like that Jim Carrey movie. DL: You have to say “yes,” and you have to also be honest with yourself and realize a lot of times the reason you say “no” is because you’re making excuses; because you’re either scared, or you think you’re better than that, but it doesn’t work that way. You should always be open and explore any opportunity you’re given. 6 years later, … I think I’m still like that… Really get out there and try everything you can. HT: So you’re a touring guitarist, but you spend about as much time in the studio. What do you enjoy most? DL: I enjoy playing live more, but on tour it’s very repetitive. So, I like to do any tour for 10 shows, then I’m ready to move on to the next thing… as opposed to doing a hundred shows. Last year, I was touring with the Backstreet boys, and we did about a hundred shows. HT: That’s right, you toured all over the world with them. DL: Right, and it was a great tour. It was probably my favorite tour that I did. Musically, you had to be really versatile … and, surprisingly, it demanded a lot of really aggressive playing. Because a lot of times when you play big arenas, it doesn’t matter what the tracks sounded like, there’s not as much room for subtlety. Arenas always kind of demand rock star playing. HT: Were you making any compromises by playing for the Backstreet Boys? Your taste seems at odds with their music, if the music on your website is any guide. DL: That stuff’s actually very old. When I moved to LA, that’s one of the things I did to start establishing myself: … “let’s do a web page that showcases what I do as a guitar player.” That was the main thing on my agenda. So I literally made a list of a bunch of different styles: like country/instrumental, some electronic stuff, some heavy rock. 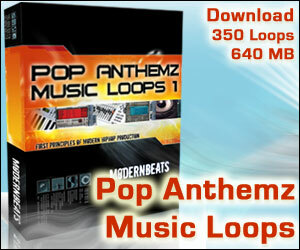 I just made the list and started composing tracks for the web page. I like everything. I actually don’t spend a lot of my time listening to current pop [like the Backstreet Boys]. I’m very familiar with it, but what I listen to for inspiration is very different. HT: What do you listen to for inspiration? DL: I listen to everything, from The Allman Brothers, Sly & the Family Stone, Stevie Wonder and Pink Floyd to Goldfrapp Meshugga, Tori Amos and D’Angelo. I really take time to study and analyze many different artists. I think that’s one of the biggest advantages I have… I really enjoy every type of music imaginable. HT: So then, you weren’t really leaving your comfort zone by playing for the Backstreet Boys? DL: No, it’s funny … as a kid I was actually kind of a metal-head. The first records that I bought were Michael Jackson and Metallica (laughs), and then I was really heavy into Metallica, Megadeath, Pantera; that was kind of my introduction to playing. Those were my formative years, but even then - it was right around the time when the Backstreet Boys were really big - I always thought, even though I was listening to Metallica, that they were cool. The songs were just so well written, and the singing was really soulful. I always liked Boys 2 Men and stuff like that. HT: That’s quite an open-minded attitude for someone who loves heavy-metal. DL: If there’s anything I can offer [in the way of advice] it’s not having that attitude of separation. HT: Embrace all styles of music. Yes, but more than that, understand that the boundaries and borders between different musical styles really don’t exist. Even if you listen to Metallica, they love Lynyrd Skynyrd and the Beatles. The Beatles are actually a great example. I remember an interview with Slipknot; there was a picture of George Harrison and the guitar player said, “this is the only guy that matters” … All people are into similar things at the end of the day. A lot of the lines we draw are really based on insecurities and ego. Maybe you don’t understand the style, so you wanna say that it’s not as good as what you’re into. When I was younger I used to do that a lot. I was intimidated by different things, so I just said “well that’s not for me.” but first of all, it’s important to get into stuff as a listener, and after listening for a time then maybe you can try to tackle it as a musician. HT: Is there any specific advice you’d offer to musicians who would rather write original music? DL: One of the most important things is having a good way of documenting every single little idea that you have. I do it now on my iphone and my laptop, I have folders and folders and folders. I’ve been doing it since I was 19. So in my folder, I’ve got more than 3500 files of musical ideas. HT: Yikes. If you keep that many files, you’ve got to make time to review them. That’s something that I do every once in a while, I go back and try to sort them into different levels and styles. A lot of them I wouldn’t want to use. We often come up with a good idea and then just forget about it. It’s human nature. The bottom line is I know for a fact from my experience that music is really worth money. I think that’s the beautiful thing about writing. When you’re a writer, you’re like a factory owner, but the only overhead you have is to pay for food and shelter. Your brain is the engine that generates all the ideas, and you need to document every little thing without judging. Hard drive space barely costs anything these days, so why not do it? Listen back to your ideas 2 or 3 days later. Sometimes stuff you didn’t even think was worth anything will sound great, while stuff that you thought was really cool will sound unnatural or just plain mediocre. I’m talking about riffs, melodies, lyrics etc. It’s very hard to keep an objective outlook while you’re writing. Recording your ideas allows you to listen with fresh ears and make better decisions. Document your ideas all the time, and before you know it, you’ll build a library you can draw from. HT: So, What are the advantages of being a musician, producer and songwriter all at once? DL: Here’s the way I see it: it’s called music, so it has to come from musicianship. You have to have a very specific skill that’s beyond just engineering or producing, you have to really understand music. I think most of the good artists and producers have that, even if they’re not schooled in it. HT: They have experience playing. DL: Playing or singing; even if you don’t play something real-time, you still have to understand harmony and melody. And for me, being a musician opens doors because it’s something that’s very easy for people to see. [A songwriter and] a producer do so many things… a musician is something very, very specific.You can show someone what you can do and they can hire you for it right away. HT: In all fairness though, you’re an excellent musician. Does someone have to have your standard of musicianship to derive that same advantage? DL: That’s a great question. The simple answer would be “no, you don’t have to.” I always tell people that the most important thing is to know how to play as many songs as humanly possible. Even if you play them in a really sloppy way. Make sure your ears are constantly developing. You can always quantize your takes or hire a musician to play your ideas if you’re not the best instrumentalist. It’s more important to know how to pick the right notes and chords. Most harmony is really quite simple. Whether you’re studying classical or rock or RnB, it’s not as complicated as people that are untrained think it is. Just go slow and study the chords and the melodies of your favorite songs. The more you do it, the easier it will get. Even now, after I’ve been doing it for so many years, I feel like I’m going back and seeing myself more as a student. I practice with a metronome, I learn new stuff on guitar, I’m practicing keyboards a lot, and reading manuals of synths,… and I love it. HT: Now that you’re more experienced and established, you’re going back and learning new things? DL: And I’m loving it more than ever, because anything new I learn, I can implement in a song or track that I’m working on. Back to your question about studio versus live: I think live is always more carefree and easy and fun, but the rewards of being in the studio are definitely greater, both financially and creatively. In the studio you’re actually creating something that wasn’t there before you walked into the room. You’re making something out of nothing. I do production of music and lately I have not done badly, however, I discovered that my beat does not really sound fat. Could it be because of the software or sound card. I use soundblaster 5.0. Kindly help me out on the what to do. Thank you. That was an extremely informative interview. I really enjoyed it. Awesome interview. Good luck Dory on all your future endeavors. Elias, it might help if you had more up-to-date soundcard. You might also check out our online production tips. The first and second one on the list are quite useful with regard to mixing and mastering.